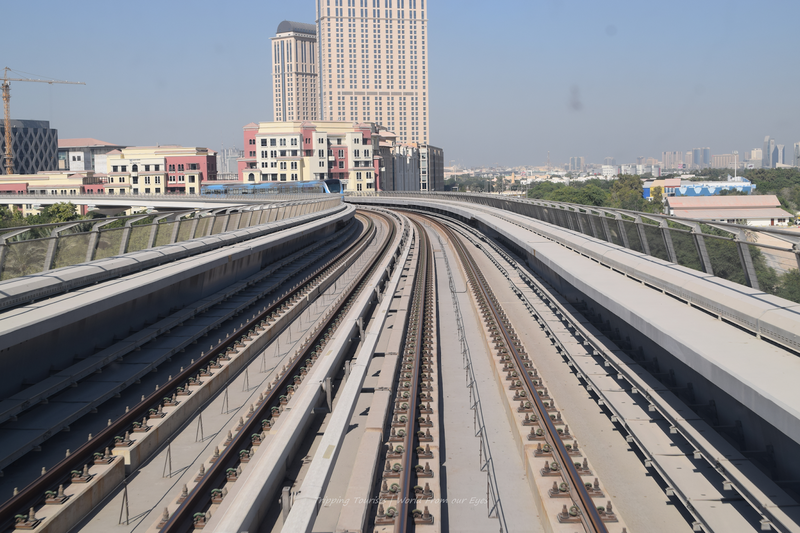 Dubai is a futuristic city for many and hence it is expected that modes of transport need to complement the goal that the city envisages. While the development has only caught up recently but the pace has been drastic and hence the city today has become a complex maze of concrete buildings or towers to describe them aptly. However, to the most extent, the city has developed in a long stretch by the Persian Gulf and hence is longitudinal in nature. But the question is how does a tourist in this modern city traverse and what are his options? That is what this article would deal with. We are the kind of travelers who seek pleasure in living a cities' life and hence opt to travel using mode of mass transportation to the extent possible. While Taxis are obviously the convenient transportation, it is prudent to look for other options which save money and time and also provide an opportunity to have a glimpse of the city - closer and concrete. So here we are presenting to you various modes available to you in this city of glass-walled towers and man-made islands. 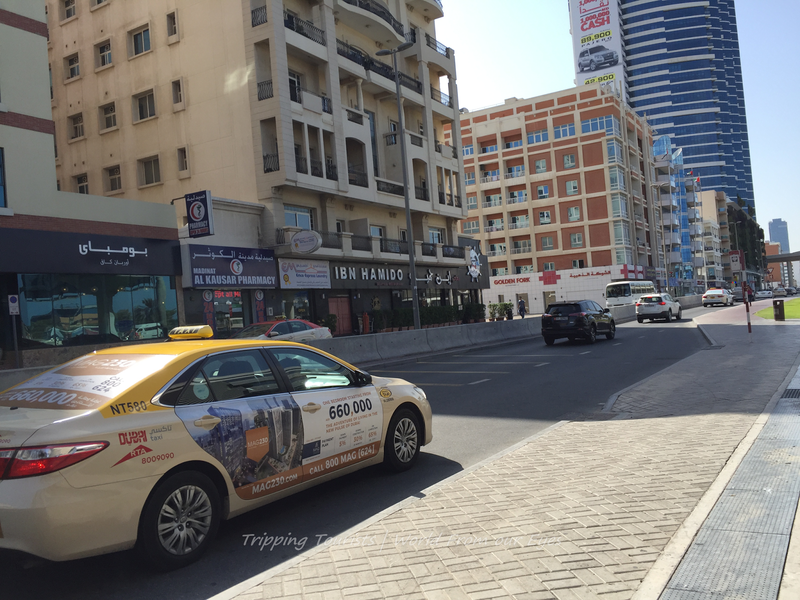 As world over, Taxis are obviously an important mode of travel across Dubai. Taxis in Dubai are relatively economical and managed to a large extent. There are 5 or 6 specific taxi operators all of whom operate a similar set of vehicles under various categories. The most common car is the Toyota Camry - a sedan which is decently comfortable and spacious. The fleet of each operator is centrally managed and run pretty smoothly. You can hail a cab or call in a specific number to request a dispatch. There is an app too to request a cab. All cabs have a CCTV camera which is centrally monitored and this apparently keeps the drivers in check. All taxis have a receipt printer and you can ask for one but the mode of payment is mostly cash. Taxi drivers are aware of major landmarks but may not be very proficient with names of the streets so know your destination before you embark. If you are more than 3-4 or need a bigger cab, it would be difficult to hail one but you can always call the call-center to request for a bigger cab which can handle up to 7 passengers - generally a Toyota Innova. Recently a special service for women has been started which has women drivers and only families with women can board these cabs. 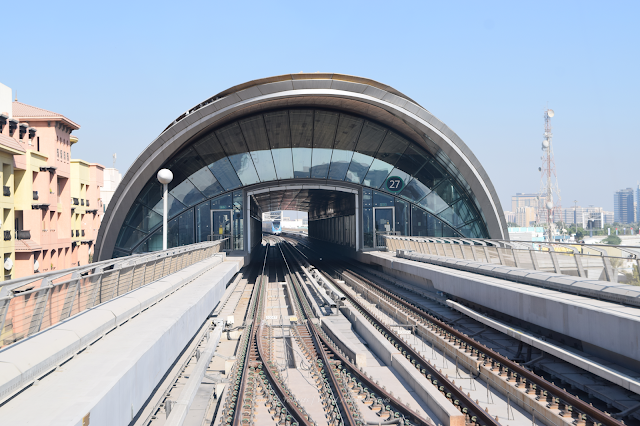 Though a recent addition to the city - Metro in Dubai started in 2009 - it has today become an integral part of Dubai's life and commute for many is synonymous with it. Taking a cue from how the city has developed, the metro route covers the length of the city and connects both ends effectively. 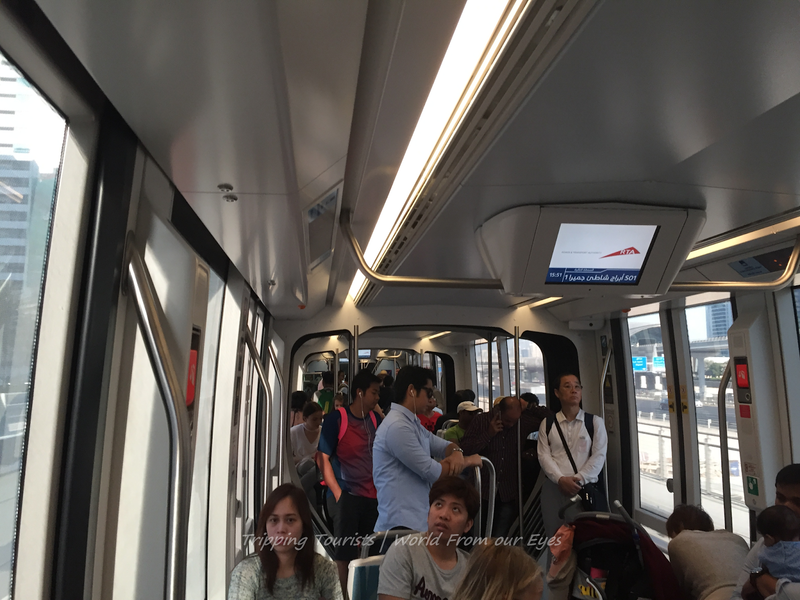 The frequency of trains is pretty decent and the air-conditioned ride is pretty comfortable. The rush can be a concern during office hours but it still is better than some of the countries - like Delhi Metro in India. For those who prefer more comfort, the first coach of most trains is a Gold Class Coach with plush cushioned seats and obviously lesser rush of humans. Stay careful as boarding this coach without the proper ticket may leave you shorter by 100 bucks in the city. Ticketing for metro is relatively simple - the entire network is broken down in terms of zones and you pay by the number of zones you cross on the train. 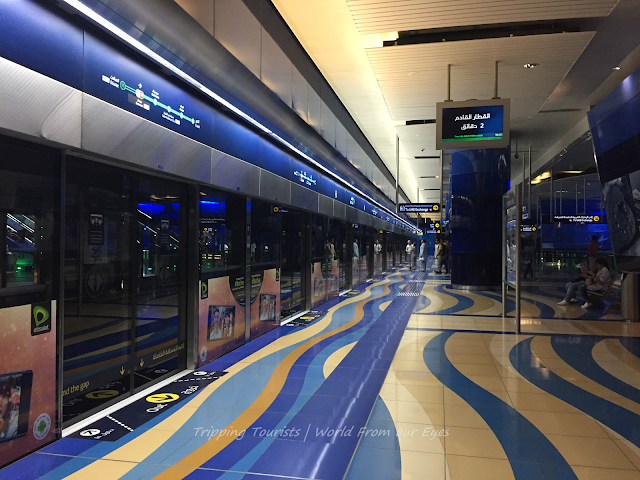 There are automated machines on all metro stations and you can pick your tickets and pay in cash. 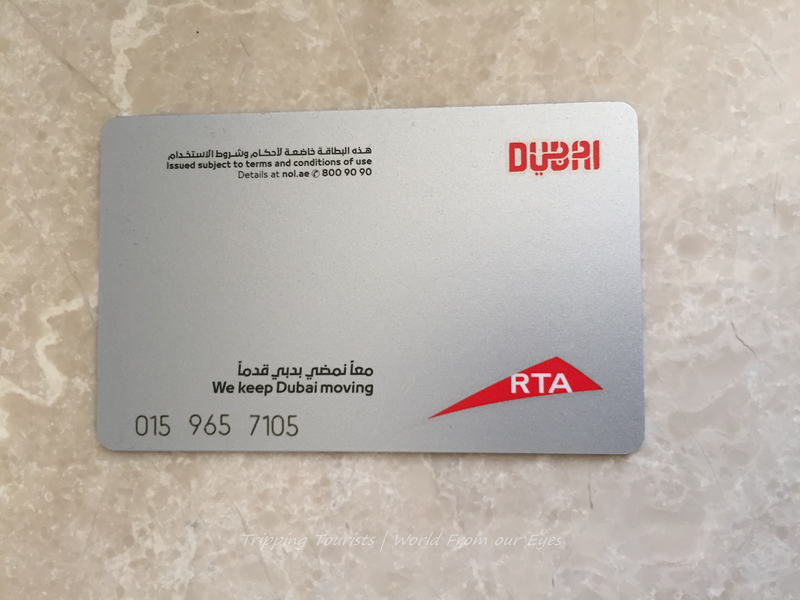 If you are going to be in the city for some time, it may be better to buy an RTA card which allows you more flexibility in movement. Two cards relevant to you are a Red Card which allows you to take a ride or pass - if you are in the city for a couple of days we recommend taking a day pass for each day which allows you to travel across all zones, and all modes - metro, bus, and tram. 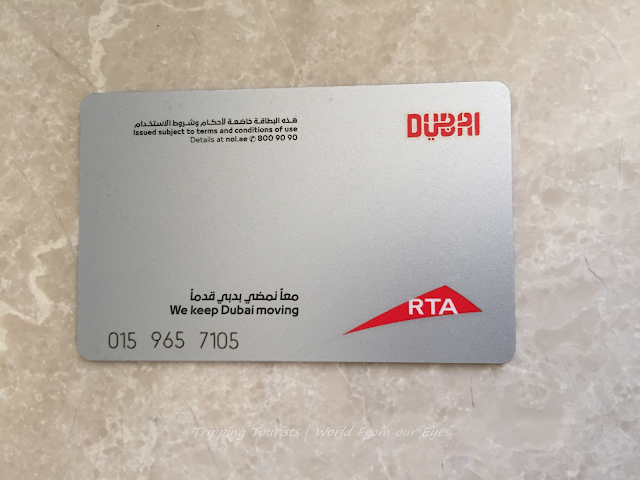 The silver card allows you to recharge it and swipe when you board and deboard and money is automatically deducted based on fares. Getting one of these cards is one of the best 5 AEDs you may spend. Though metro is the best mode to travel, it only takes you to a point and the bus service provides the last mile connectivity across the city. The city has a basic bus service in place however one may not find it a lot efficient given a 30-minute frequency for most buses. 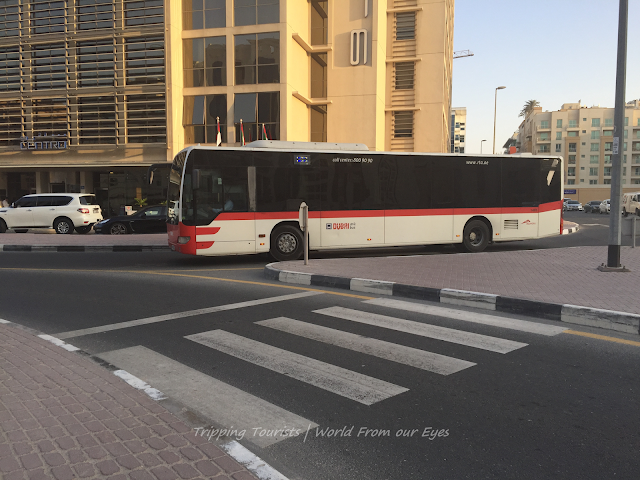 The buses accept the RTA card and run mostly on schedule. There are bus stops earmarked at regular distances and most routes are pretty thought of. However, you may be better off using Taxis for the last mile connectivity if you can afford. Trams - Yes the City has them too! 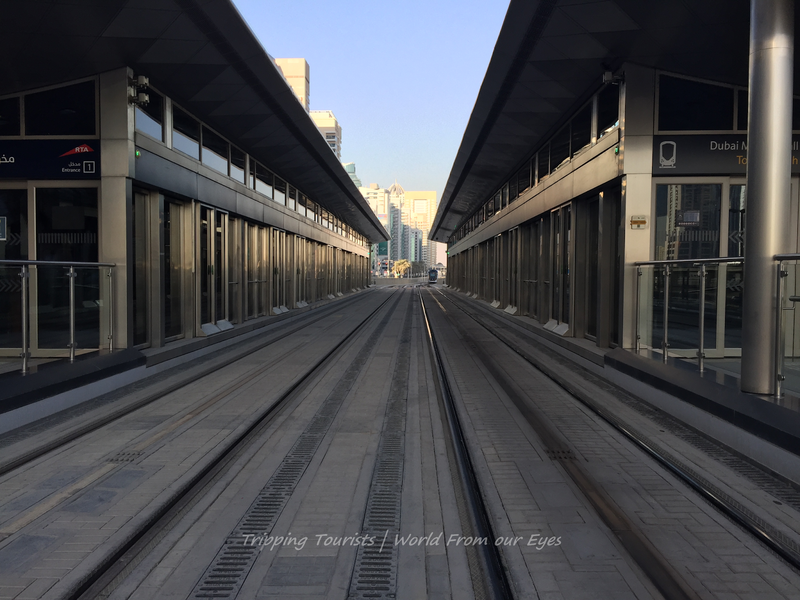 While "tram" as a word gives you a picture of an age-old medium of transport but the city of Dubai has a very modern version of pretty fast tram network in one corner of the city. Serving the Jumeirah and Marina area of the city these chic cabins sweep you across the streets of this posh Dubai locality. Again the trams have ticket machines on the stations and accept the RTA cards. Trams are integrated with two of the Dubai metro stations and hence can be used if you are planning to visit the Marina or Jumeirah beach area. These are good for experience but again you may save some time using Taxis if you are in hurry. The city has off late developed its waterways and the authorities have extended the Dubai Creek across the city with a maze of canals. 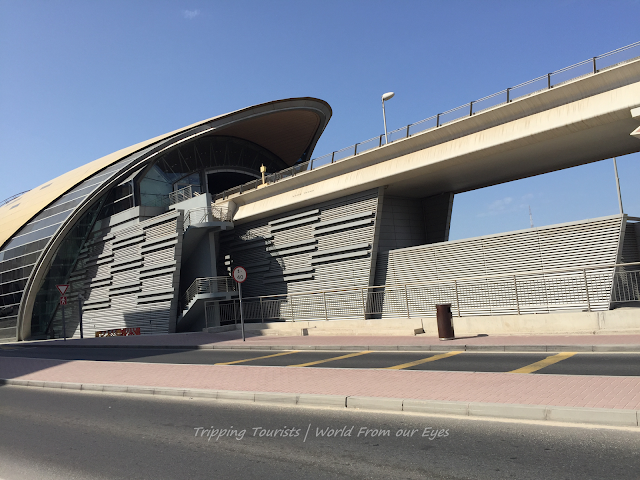 While the extent to which this can be used as a public transportation is limited, still it is a good way to cris-cross the city while also viewing the iconic buildings on the route. Mobile application based cab hailing services are making a mark all over the world and Ubers have made the local travel an ease across various cities. Booking a cab right from comfort of your room and then boarding a luxury cab to zip across the city is definitely a convenient way to travel. Dubai has recently allowed two cab services - Uber and Careem - which are avaialble at a moment's notice. However, rates are relatively higher owing to a government mandate to have the fares at least 30 percent higher than local taxis. 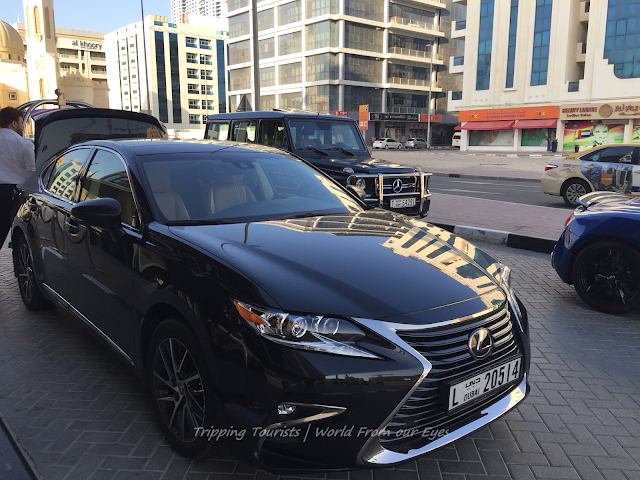 These companies compensate for it by providing plush cars - our Uber booking to the Airport was a Lexus Coupe. What's the best option for a tourist? We would say the best option is to take an RTA Silver or Red card based on your stay duration and then use the Metro as primary mode of transport. For last mile connectivity, Taxis provide the best medium and are pretty efficient to serve that purpose. 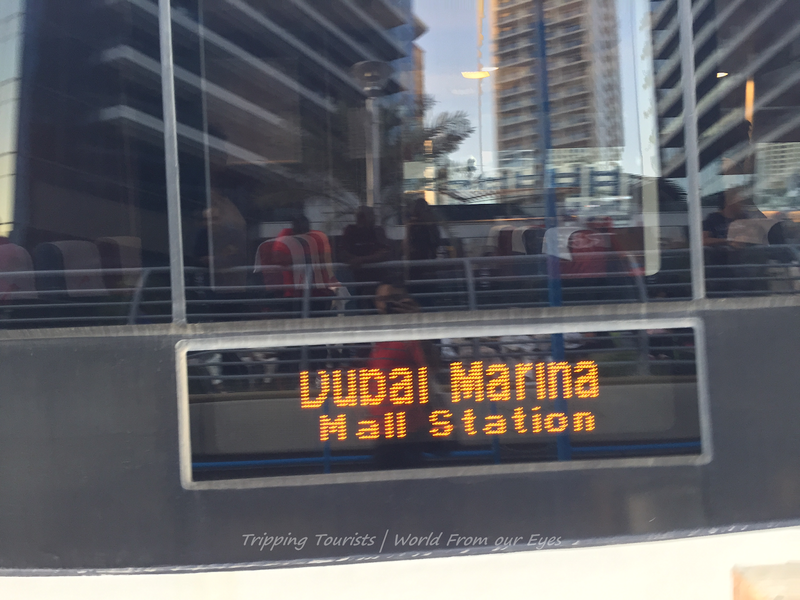 If you have any questions regarding how to travel in Dubai or would like any other help, feel free to comment below.